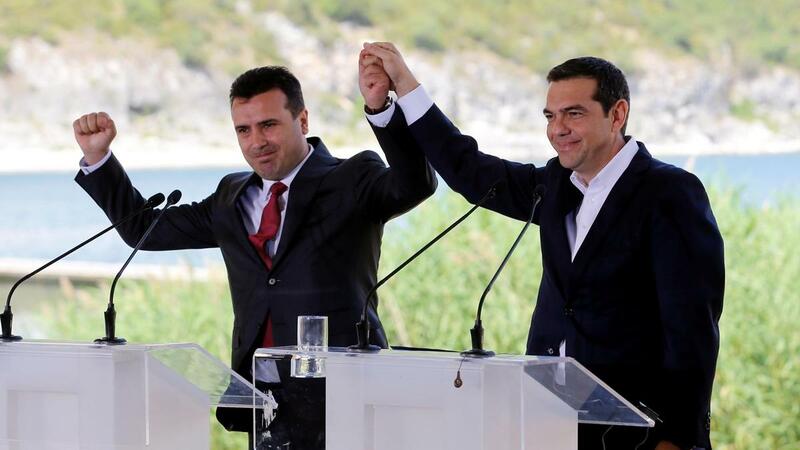 Prime Ministers of fYROMacedonia and Greece, Zoran Zaev and Alexis Tsipras, are to receive the ‘Ewald von Kleist’ Award in recognition for the efforts in reaching Prespa Agreement, Deutsche Welle’s Greek language programme reported. This year’s award will be presented to Zaev and Tsipras at the 55th Munich Security Conference on February 16, as announced by MSC Chairman Wolfgang Ischinger on his Twitter feed on January 25, writing, “We will invite both prime ministers to receive the prestigious Kleist Award on 16 Feb. in Munich, during MSC 2019″. Spokesperson of the Munich Security Conference confirmed that both Zaev and Tsipras had accepted the invitation to attend the conference in Munich on February 15-17. The MSC inaugurated the ‘Ewald von Kleist’ Award in 2009 and among its recipients in the past were Javier Solana, the Organisation for Security and Cooperation in Europe (OSCE) and former German President Joachim Gauck.